This mod works for 0.3.4. I haven't tested it with other versions. Have you ever felt like the compound clouds appear too often? That the clouds hardly yield any resources? This mod aims to fix that. The spawn rate of all clouds is reduced by 10x, but the size of clouds is increased by 10x. Everything else is kept the exact same. I've felt for a while that something the game needs more is a better sense of survival. I touch on it a bit here (http://forum.revolutionarygamesstudio.com/t/improving-thrives-fun/313/12). Unfortunately I get a bit of a grinding feeling when collecting compounds in the game. I think if compound clouds appear less often but yield more they are both more challenging to find which will be more engaging, and more rewarding when found. I've found that this rebalance creates some interesting situations where you have to make tough decisions because of the rarity of clouds. My cell was damaged and I was desperate for ammonia to heal, and after searching for a while I finally found an ammonia cloud. Only problem was there was a toxin cell right in the middle of it. Do I go for the cloud and risk getting hit by toxins? Or do I pass up this cloud and wait for another? Who knows when I'll find another ammonia cloud, I might need to take the risk. These are exactly the kinds of experiences and tactical thinking I think the player should have to face in the struggle to survive and thrive. This is also a bit of a test for future releases, where we might rebalance the spawn and yield of compound clouds. So please, try the mod if you can and let me know what you think. Does it make gameplay more fun? Any changes you'd suggest? Are the changes too extreme? Clouds are harder to find, but notice that when you do find a cloud it is much larger. Parts of the cloud are also offscreen. 1. Backup your "scripts" folder from your Thrive main directory. This is in case you want to revert to the original settings without reinstalling the game. 2. 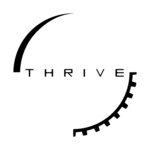 Copy the "scripts" folder from the download and place it into the Thrive main directory, replacing all files/folders already there. 3. Start the game and enjoy! It's an interesting idea. I tried it for a bit and really liked having big clouds to gather a lot of resources, but I never found an oxygen cloud because they were too spread out and died from lack of ATP. I just tested it for almost an hour. The first few times I spawned I just swam straight ahead an ran out of ATP before I even came across a single cloud of any compound. In the third or fourth retry I found an oxygen cloud, but oxygen alone doesn't make ATP so I died again. Then I found a glucose, a oxygen and an ammonuim cloud close together and I was basically in microbe heaven. x10 is a bit too much in my opinion. Searching for food and not finding anything and then slowly dying because of sheer bad luck isn't really fun or challenging gameplay. All in all I think on both builds recources are a bit too scarce. I'd suggest to have the clouds be about 5 times as scarce as in the original build. Another advantage of the small, frequent clouds is that it makes for a more varied and interessting environment. With the mod I feel like 80% of the "map" is empty. On the other hand this makes every discovery more exiting. The most interessting distribution would in my opinion be the following: There could be small, frequent clouds and rare, big clouds. Like this the player doesn't just starve if he has a little bit of bad luck but the really huge and rewarding findings are rare and exiting. Hm yeah, I playtested it more and it seems that all it takes is some bad luck to not get any or both of the clouds you need, because only having glucose for example still leads to death, and then you just die. I'll try testing it with things being 5x rarer and 5x bigger clouds, and I'll also try one where one type of cloud is common (oxygen), and another is rare (glucose).